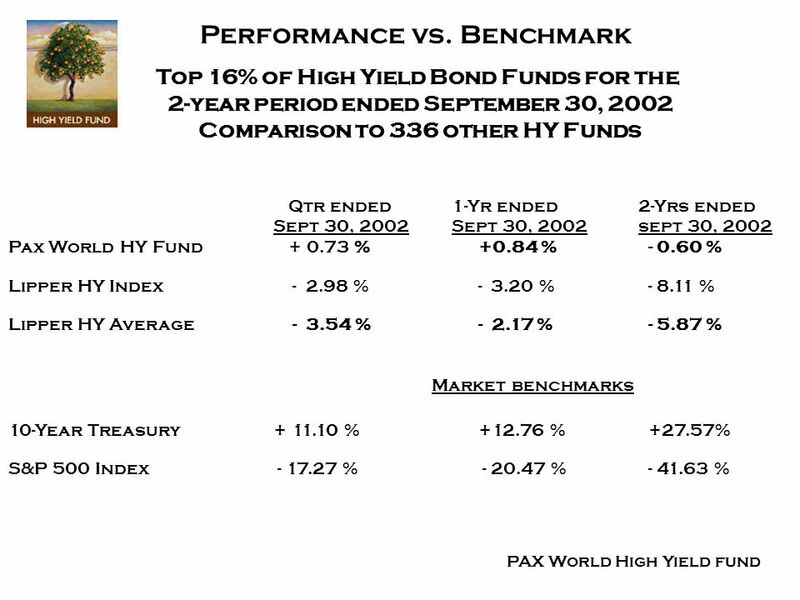 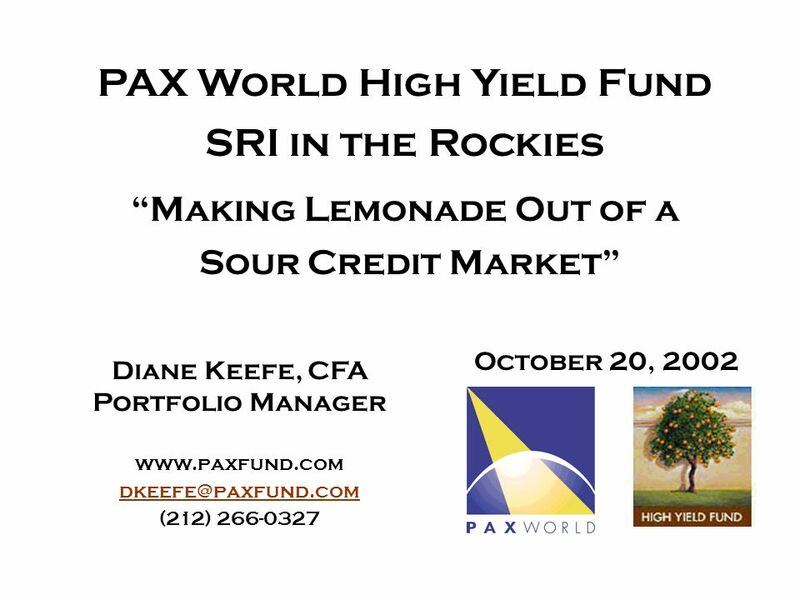 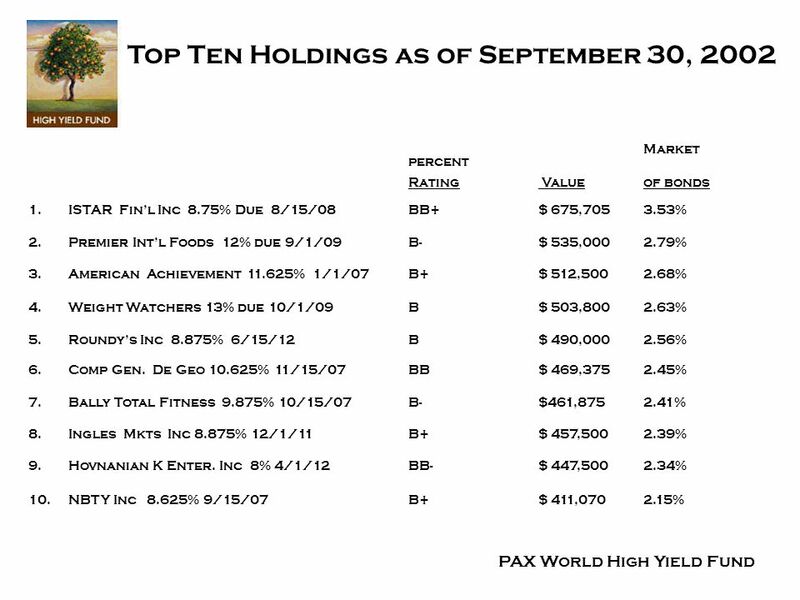 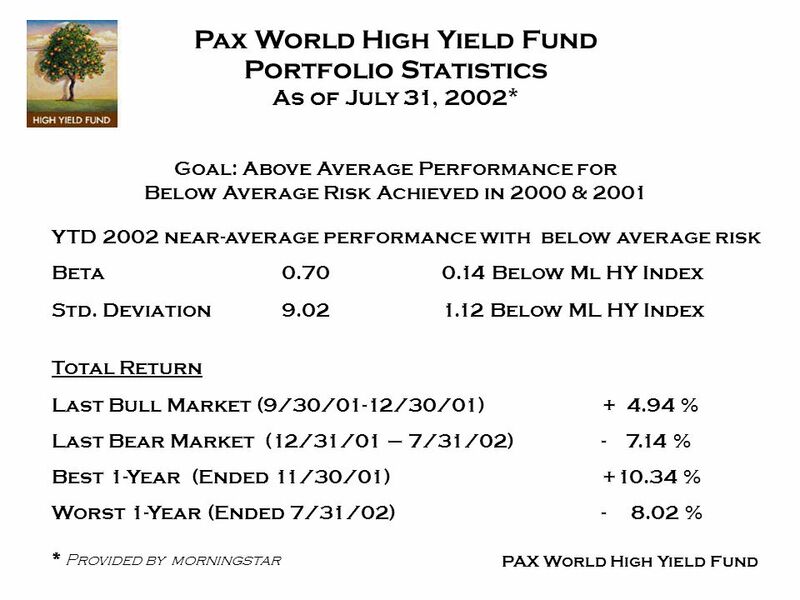 Diane Keefe, CFA Portfolio Manager (212) 266-0327 October 20, 2002 PAX World High Yield Fund SRI in the Rockies Making. 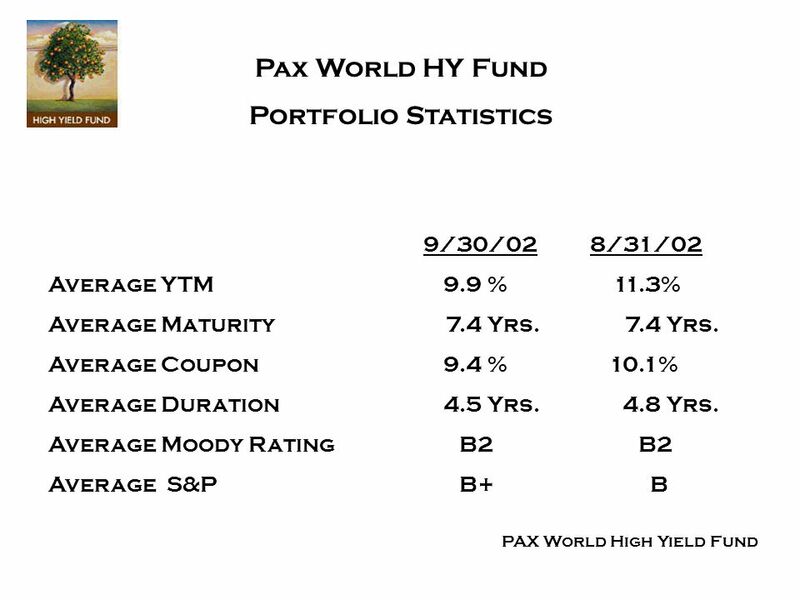 3 Investment Assumptions/ Strategies for 2002-3 AssumptionsStrategie s PAX World High Yield Fund Expect war with Iraq in February Low interest rates make BB have positive performance related to rolling down the yield curve Keep 10% cash for buying opportunities and get less dependent on any one industry performance Seek BB Investments in 8% - 9 ½% range $ may weaken related to current acct. 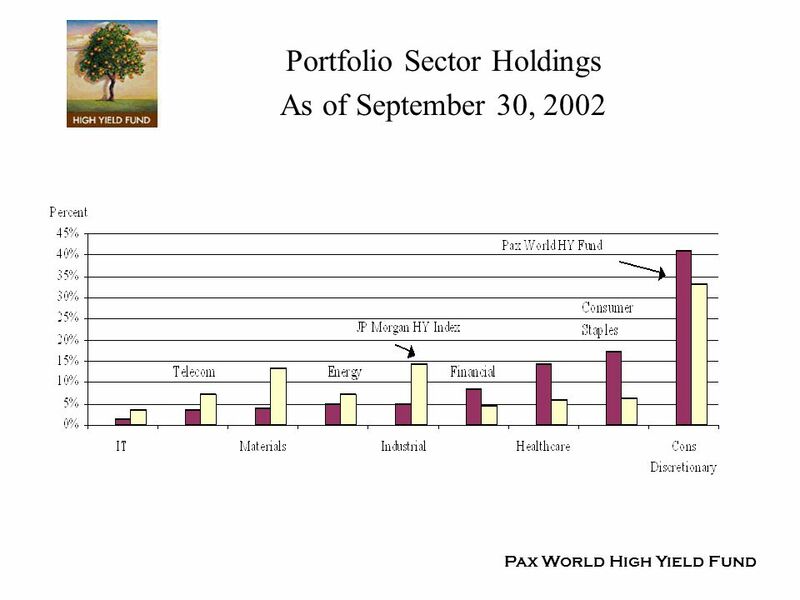 deficit and deficits rising Maintain or increase exposure to Europe Fallen angels will increase if recession continues Emerging mkts. 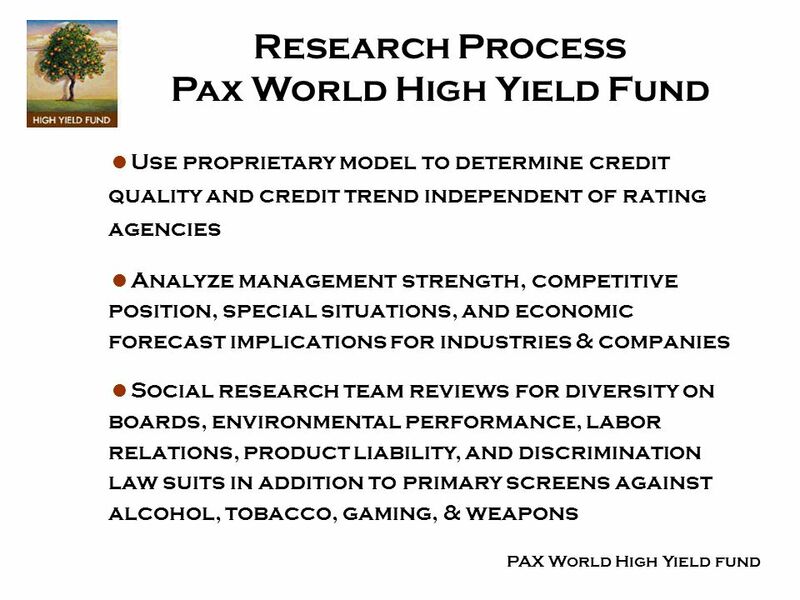 may catch pneumonia from US severe cold or changes in Brazilian domestic policies Use market corrections as opportunities to upgrade credit quality and diversify Stay away from emerging mkts. 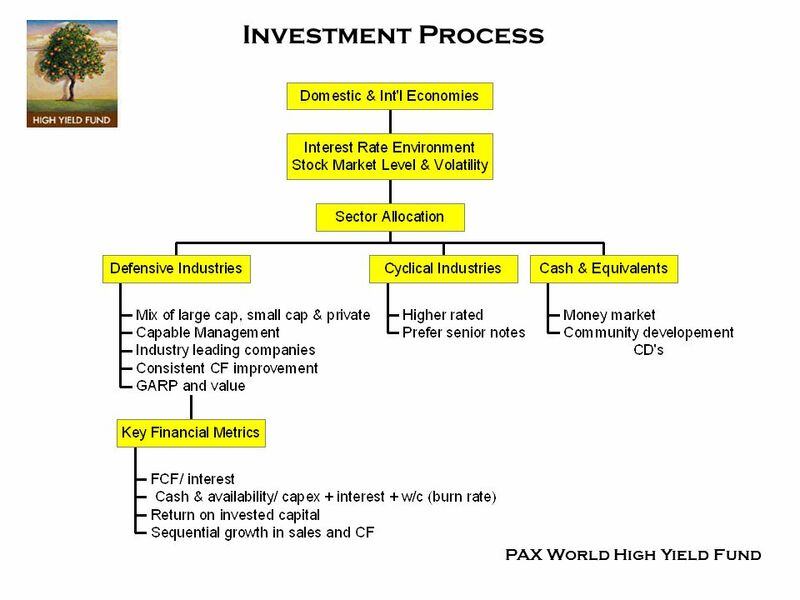 until panic in full swing then target Mexico & investment grade companies GDP estimate –1 to +2% Old economy weakness begins to recover if war is brief Technology/Internet/Telecom will continue to lag recovery Energy prices are likely to stay elevated due to geo-political risk Purchase high quality cyclicals when leverage begins to decline Maintain underweight in cellular, cable & tech. 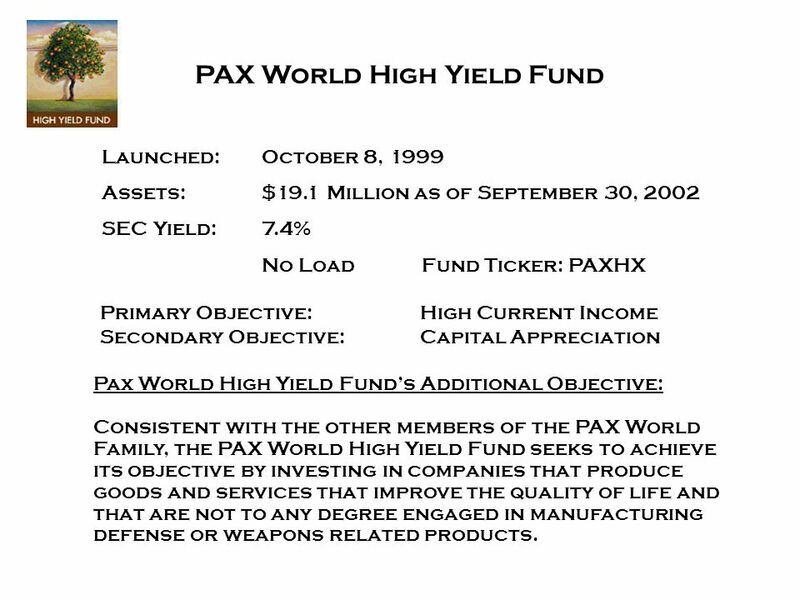 3-D seismic, natural gas, E&P cos.
Download ppt "Diane Keefe, CFA Portfolio Manager (212) 266-0327 October 20, 2002 PAX World High Yield Fund SRI in the Rockies Making." 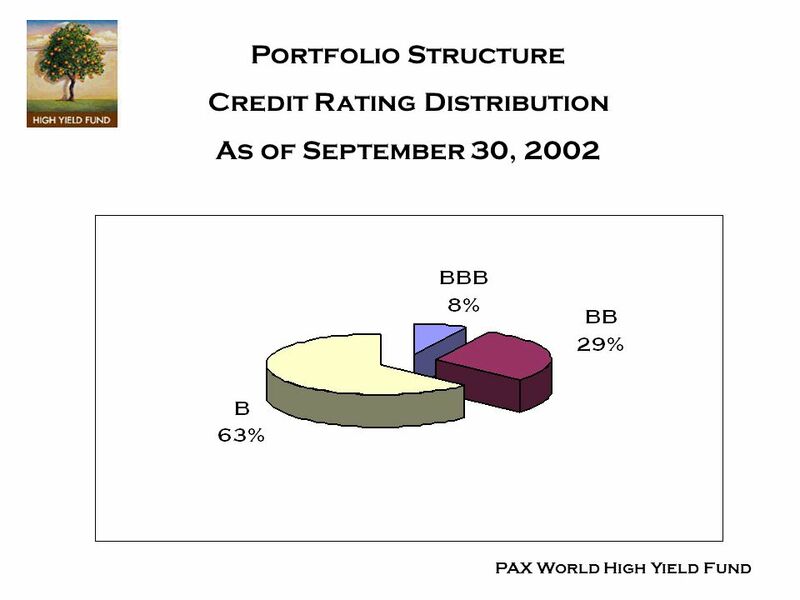 Copyright © 2007 Global Insight, Inc. 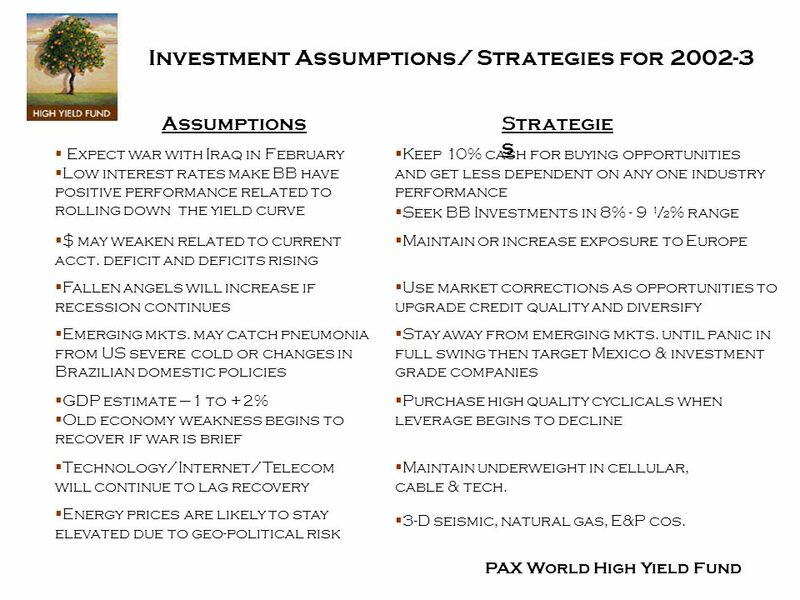 The U.S. Economic Outlook Nigel Gault Group Managing Director North American Macroeconomic Services Office of State.